Frisco Texas is the New Official Home of the PGA! Golfers and golf enthusiasts rejoice! The word is official. The PGA of America is moving to Frisco, Texas, from Palm Beach County, Florida, as part of an innovative public-private partnership. There were doubters about it happening, but those non-believers were silenced when the PGA made its official announcement in December of 2018. The new golf course is part of a new development plan for Frisco, already home to the STAR a 90,000-acre campus, headquarters of the Dallas Cowboys and boasts a state-of-the-art. football field-field, gymnasium, corporate offices, shops, restaurants, and even a luxury hotel among its amenities. The public-private investment is estimated at $520 million with the PGA of America agreeing to invest $30 million in the development of a 100,000 square-foot global headquarters and education facility. The PGA of America also said that it would employ at least 100 as part of its agreement with Frisco. A joint venture between Omni Hotels & Resorts, Stillwater Capital and Woods Capital, called Omni Stillwater Woods (OSW), will invest $455 million to purchase land; construct a 500-room Omni resort and conference center; a “technologically advanced” retail space; parking facilities; and two golf courses, a short course, practice areas and a clubhouse. The development will be situated about a third of a mile south of U.S. 380 at Rockhill Drive and Legacy Parkway. The City of Frisco, in addition to Frisco Independent School District, Frisco Economic Development Corp., and Frisco Community Development Corp., will contribute no more than $35 million. The golf courses and other facilities will be available for public use, and FISD student golfers will practice at the courses on a weekly basis, an arrangement reminiscent of FISD’s use of the Cowboys practice facility at The Star. FISD was also involved in the close to $40 million upgrades at Toyota Stadium, home of the National Soccer Hall of Fame and FC Dallas. “This is yet another example of the public entities in Frisco coming together with private partners to provide unprecedented experiences for young people,” said John Classe, who is the school board president of FISD. The initial 25-year agreement calls for the land and conference center to be publicly owned by the City of Frisco and for OSW to operate both. The State of Texas will also provide a grant through Chapter 351 incentives valued at more than $62.5 million over the course of 10 years by contributing collections for hotel tax, sales tax and a portion of mixed beverages tax. 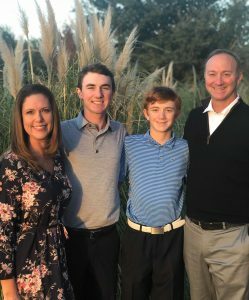 New golf courses, championship tournaments and a whole new era of golf living are what lies ahead for Frisco, all started by a simple idea of good-hearted Texans. But isn’t that how pretty much where every great Texas story begins?